Are you in the business of helping other businesses start up and succeed? Then we’re interested in working with you! Consider joining the Volusion Channel Partner Program — a network of businesses, web agencies and freelancers — and get ready to reap some pretty great rewards. There are two ways to join our program and earn money: As a Reseller or through our Referral program. To apply for the Volusion Channel Partner program, click here. We even offer discounted Volusion Services if you need to outsource any of the design or marketing work to our in-house teams of pros. To ensure everything runs smoothly, you’ll also receive a dedicated Partner Account Manager and priority technical support. Learn more about it and apply to the program now! To purchase one of these packages, please visit our Pricing page. To purchase one of these packages, please visit our Custom Design Pricing page. Checkout all our Marketing Services page. 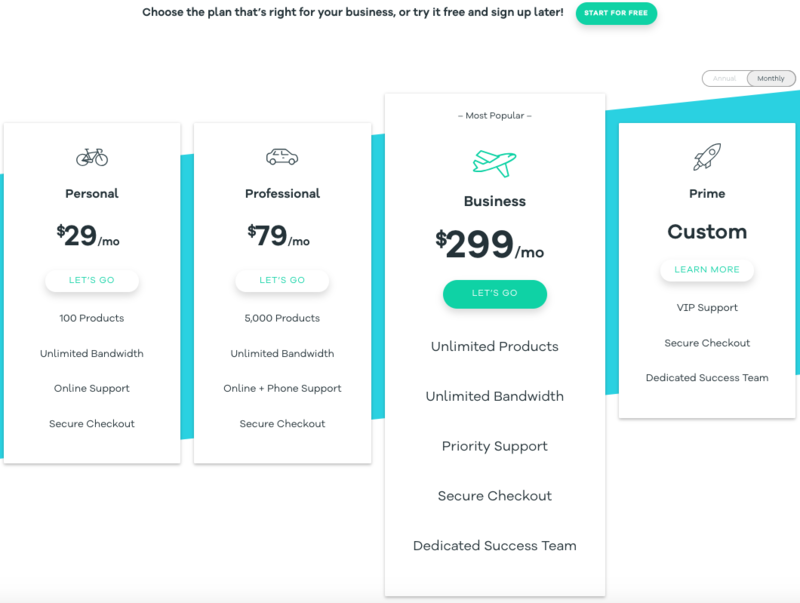 Go to the Volusion pricing page. Click Sign Up under the appropriate hosting plan. Enter a domain name and SSL information for the store. Once you've confirmed that you have the correct hosting plan in your cart, click Proceed to checkout. At the top of the page, click Log in. In order to receive the partner discount on the order, be sure use the email address associated with your partner account. Enter your payment details, then click Place Order. If you have clients who are shopping for a great ecommerce platform, send them our way. Please use our Lead Registration Form and be sure to include your Volusion Customer ID number. This way, if your clients become Volusion merchants, you’ll get proper credit (and commissions!). Your Partner Account Manager will follow up with your clients to assist with their Volusion store purchases. If you do not want us to contact your customer directly, please indicate in the Additional Comments field, along with any other important customer notes. While setting up your clients’ stores, you may find that you could benefit from some expertise in specialized areas — from technical support to site design. 👩‍💻 👨‍🎨 Volusion Experts are experienced Volusion partners who are skilled in ecommerce design, marketing and web development. You can easily find the extra support you might need by checking out our Experts Page, where you can find a list of these specialists and their services. Think you’ve got the skillz to become a Volusion Expert and help others? Scroll to the bottom of our Experts page and click Get certified today. Proud Of Our Partnership? Tell Your World! We love our Channel Partners and they love us, too. 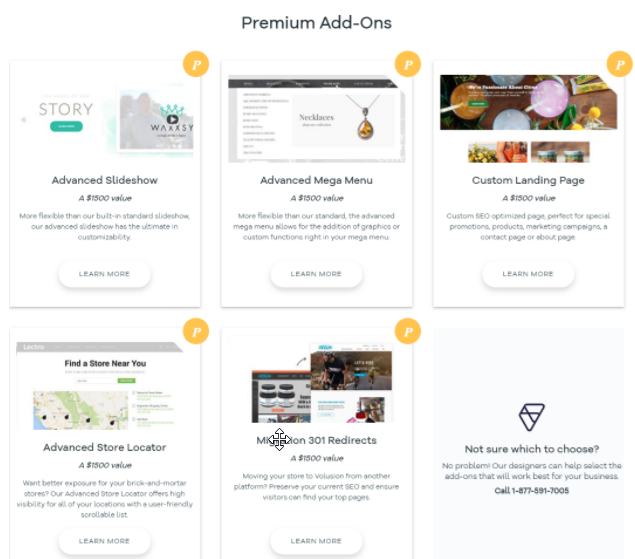 If you want to advertise our partnership to your clients (and all the benefits of hosting a store on Volusion), check out our Volusion Partner Program Media Center. There, you can find copy samples that you can use on your website or social media, press releases about Volusion and our Expert Services, marketing banners, Partner badges and logos, and resources like our blog and training videos. 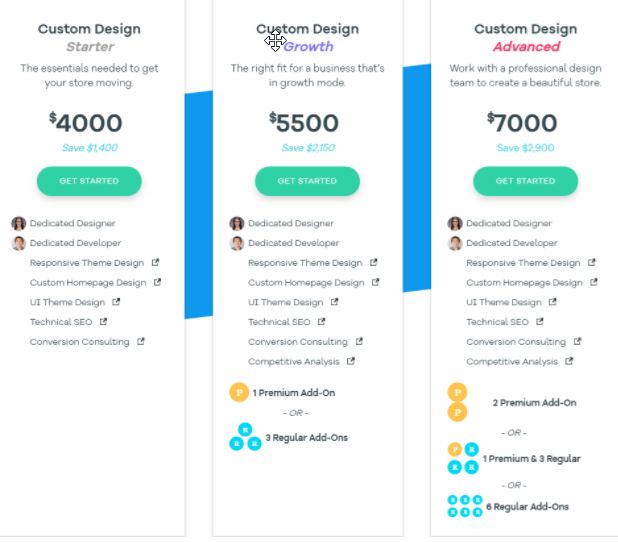 At Volusion, we’re in the business of helping founders — whether that means supporting merchants directly, or working with web agencies and freelancers that do. Ready to partner with us? Great! Have some questions? Contact our Partner Team.